Constructed using highly durable synthetic microfibre, the Portwest Tergsus Micro Orange Gloves A251OR offer outstanding levels of flexibility for increased dexterity while working. Prioritising comfort and breathability the Portwest Tergsus Microfibre Gloves are designed with a cotton back for increased well being while working. 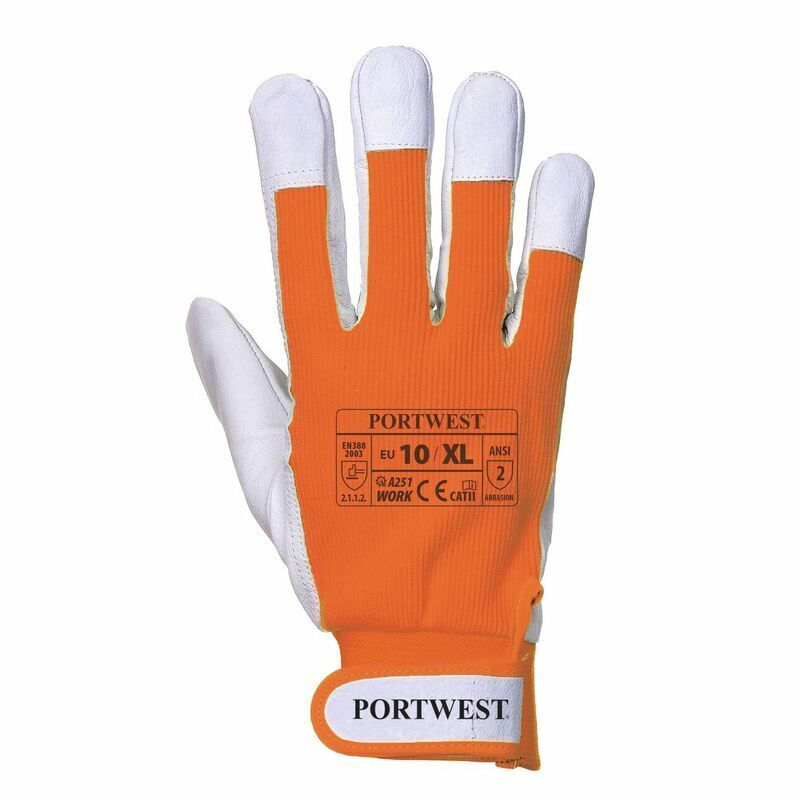 The Portwest Tergsus Micro Orange Gloves A251OR are available in a single size. However the Portwest Tergsus Micro Gloves A251 range are available in a variety of colours and sizes suitable for the majority of users.